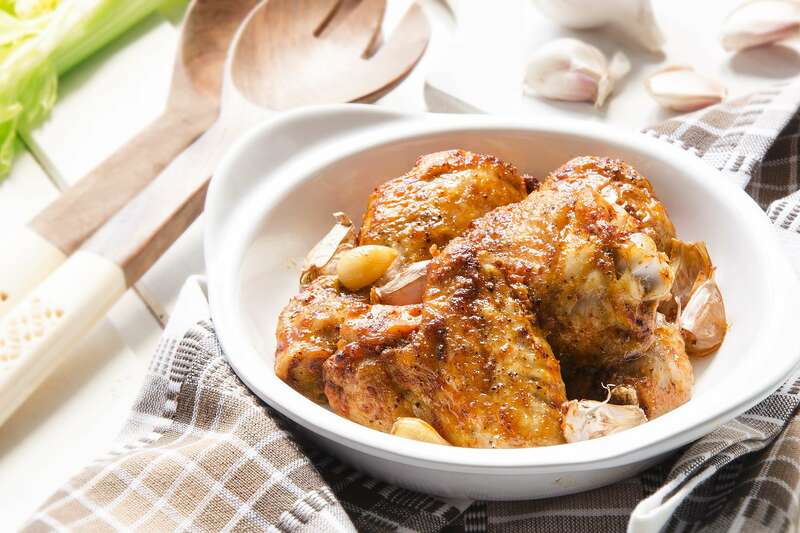 This mouthwatering recipe is the perfect fusion of tender chicken and nutty garlic. Bake it golden brown in a tasty butter sauce flavored with chicken stock, shallots, and a kick of sweet vermouth. This would be a great main course to serve with creamy mashed potatoes. RecipeSavants.com This mouthwatering recipe is the perfect fusion of tender chicken and nutty garlic. Bake it golden brown in a tasty butter sauce flavored with chicken stock, shallots, and a kick of sweet vermouth. This would be a great main course to serve with creamy mashed potatoes. Smart Recipes, American Recipes, Chicken Recipes, Recipes Chicken American Chicken With 40 Cloves Of Garlic PT2H3M Serves 5 Ingredients: 1 Whole Chicken 0.5 Cup Olive Oil 0.25 Cup Dry Vermouth 1 Cup Chicken Stock 2 Small Shallots 1 Small Bunch Fresh Thyme 40 Cloves Garlic 1 Teaspoon Kosher Salt 0.5 Teaspoon Freshly Ground Black Pepper Preheat oven to 350 degrees. Season meat with salt & pepper. In a Dutch oven over medium-high heat, heat 2 tablespoons oil and brown chicken, about 5-7 on each side. Remove from heat and stir in remaining oil, thyme, stock, shallots, vermouth, butter, & garlic. Cover and bake until a meat thermometer stuck in the middle of the thickest piece registers 165 degrees, about 1 1/2 hours. 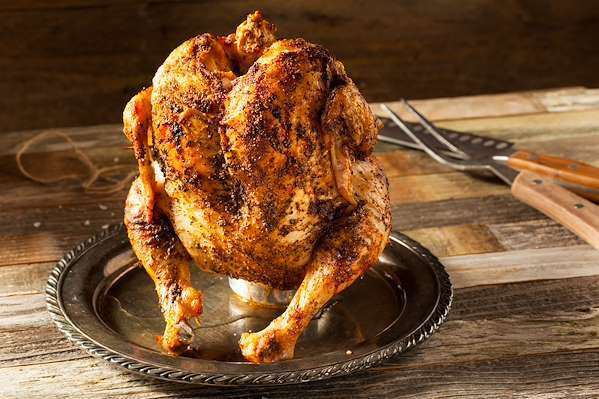 Remove from the oven and allow chicken to rest for at least 10 minutes before serving. 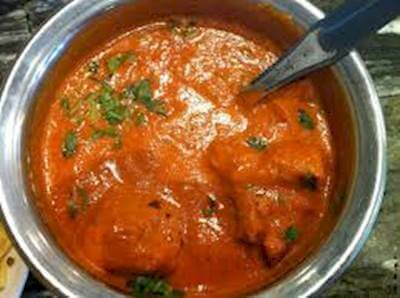 Bring a taste of India to the table with this delicious chicken dish. Garam Masala, ginger, and cayenne pepper create the perfect amount of spice while plain yogurt helps to tame the heat. 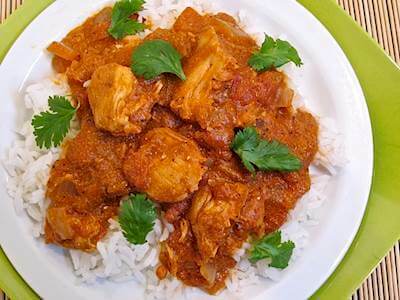 Serve the chicken on jasmine rice for a full meal with very little preparation. This baked chicken recipe it elevated with the addition of a fig-orange balsamic sauce. 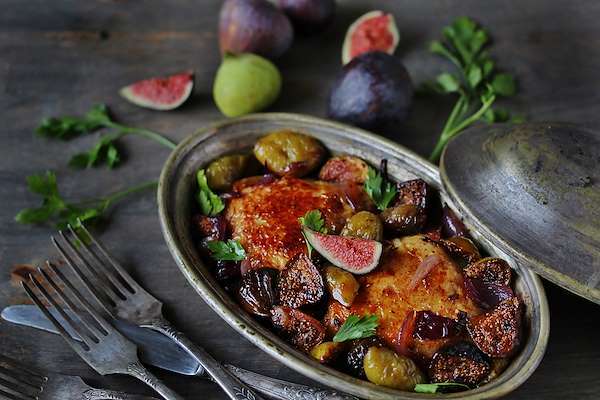 Figs lend a sweet taste and pleasant texture while the orange juice and balsamic vinegar make the meat both flavorful and remarkably tender. Serve with a simple rice pilaf and crusty rolls.